Janelle and Samantha have family they never knew about. Hiding out in Olcott, New York, Damien hopes to keep the evil in their life locked up and away from The Scepter of Okwaho, and from Jany. Fighting for the life of his new family, will he be able to save her in time? Aw D, Thanks for having me here! The cover is breathtaking!!! 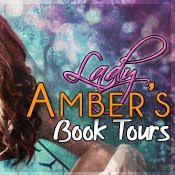 Thank you for hosting on Nicole's Blog Tour! You rock! I think so too! LOL Glad you stopped by, so thank you. Thank you for supporting Nicole's Mohawk blog tour - you rock! Thank you for hosting on Nicole's Blog Tour! You rock! Thank you for helping Nicole's tour out! you're Awesome! Thanks for the cover reveal!! OMG - It seems like I've been following you around from site to site, admiring nicole's cover; now it looks like I followed you back home, Danielle! It was an accident; I SWEAR I wasn't stalking you!! BUT ... before you call the cops on me, thanks for showing the love & props to Ms. Kuhn & her new book - for sharing the reveal, and for checking out the other bloggers who did so! I know isn't the cover very eye catching!! :) Thank you so much for stopping by. Book looks good! Thanks for having Nicole reveal on your site! Anytime, thank you for stopping by my little blog. Branded Cover & Chapter 1 Reveal! !